10 km away from the town of Vis, easily reached by an asphalted road. Rukavac is a small fishermen's village with a cluster of newly built houses offering accommodation in comfortable, categorized apartments and houses surrounded by greenery and well tended gardens. 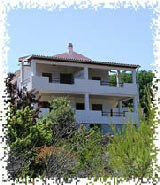 From the terraces you will have a magnificent view on the sea and the green hills arround this marvelous place. 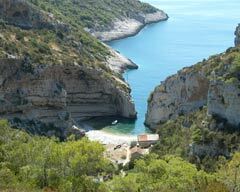 It is surrounded by beautiful coves, sandy and pebbly beaches and the crystal-clear sea. 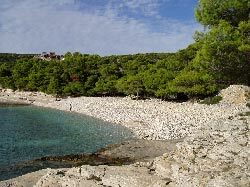 In the vicinity there is Srebrena (The Silver Beach) , one of the most beautiful beaches on the Adriatic. 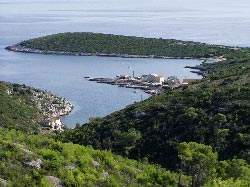 There are two nice green islands off the Rukavac Bay, on one of them (Ravnik) there is the famous Green Grotto. Tourists can go on organized excursions by taxi-boats or visit various interesting places on the coast or in the interior. 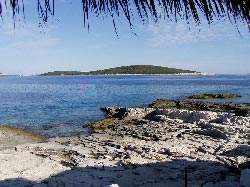 They will find numerous restaurants renowned for their Dalmatian specialities, particularly delicious, fresh fish barbecue. Dalmatino is a famous fish restaurant situated on the rocks above the sea, in the oldest part of the village.